Overlook the fact that instead of giving us a new album, Rise is just pulling another "rerelease stunt. 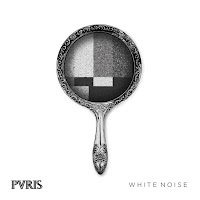 Because this new song from PVRIS is epic! 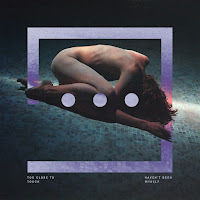 This is the first of two new tracks off the deluxe edition of their debut album "White Noise". Be sure to catch them on tour with Fall Out Boy and Awolnation later this month. Most of us already know that PVRIS is one of those bands that just seemed to come out of nowhere, and then blew everyone away with their talents. 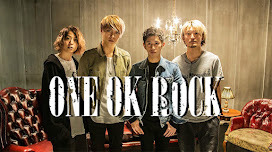 They've been riding a wave of massive success following their 2014 debut album. Since then they've done multiple tours with big names like the aforementioned Fall Out Boy and Bring Me the Horizon. And they're just going to get bigger. With their latest song, "You and I" fits in very nicely with the other tracks from the album. It's a softer number, but still has that signature "soul" all PVRIS songs have. It's got a much more atmospheric intro than previous songs. That airy quality carries into the verse, matching the poetic lyrics. The chorus pumps life and energy into the track, that would otherwise feel like another "White Noise" or "Holy". Lynn Gunn's vocals, no one should have to justify loving her voice. It's great, simple as that. This is a "tug at your heart strings" kinda of song. The opening verse is full of Lynn's usual teenage angst "I know it's warmer where you are. And it's safer by your side. But right now I can't be what you want. Just give it time." The only complaint, other than the fact that the band couldn't just release a new album instead of this "deluxe" BS, is that this is pretty "safe" for the band. Yes it's a great track, but it follows the same template their debut album followed. Soft intro and verses, explosive chorus, and back down again for the second verse. Which is why it fits in so well with the other tracks from "White Noise". It's pretty much a carbon copy of the others. But that doesn't make it a bad song. Perhaps PVRIS are bound for the same fate as fellow female fronted band echosmith. They start out small, then rule the Warped Tour circuit, and break into the mainstream industry. They've certainly got the chops for it. "You and I" only further cements the band's place at the top of the food chain. Now let's just keep our fingers crossed they won't drop the ball, or become another victim of "Risecore".